Tell me which country which you can be in and go home in the wee hours of the morning without worrying about being attacked by some mob or pervert at the alley. Of course, low crime doesn’t mean no crime but I’m sure the authorities are doing their best in ensuring our safety. I’m proud to be a Singaporean because we are a multiracial country and all four races live in harmony. I think this is one of our greatest achievements besides a flourishing economy. We have come so far together, let’s all strive for a better future! 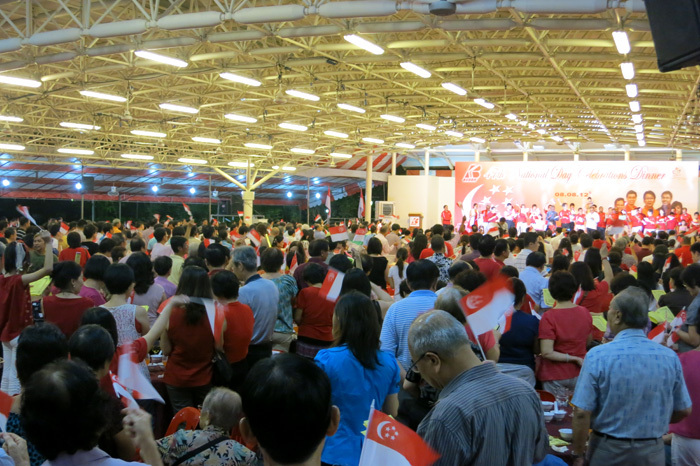 Last night, my family and I attended the National Day Celebration Dinner at Bedok. 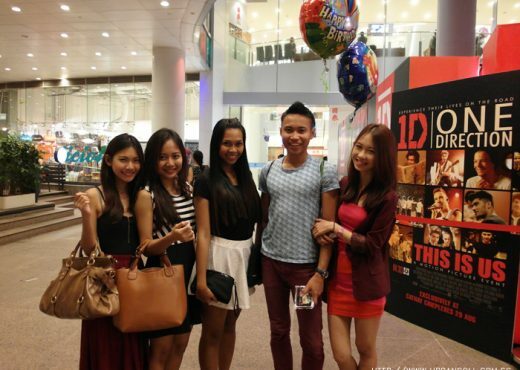 I don’t stay in Bedok but my brother and sister-in-law do and they bought tickets to the event. My sister-in-law volunteers at the RC or something I’m not too sure but the then deputy Prime Minister, Shunmugam Jayakumar, attended my brother’s wedding a few years ago 🙂 So anyway the event was held at some multipurpose hall at Bedok. It was my second time, I first attended it last year. This year, my family invited Roy hehe. Okay wait, scroll up a little. Can you see my nails? I got a gorgeous new set of tribal nails done yesterday wooohooo~ Been receiving compliments about them everywhere I went. Can’t wait to share a post about it with you guys. It should be up by end of this week! My grumpy (like me) nephew who is turning 2 in a few weeks’ time. 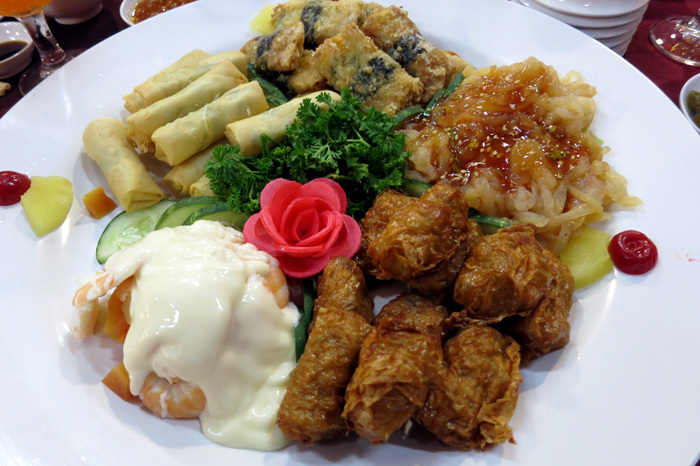 Combination of five cold dishes: Mayonnaise Prawn, Ngor Hiang, Jellyfish, Fried Prawn wrapped in Beancurd Skin and Springrolls. 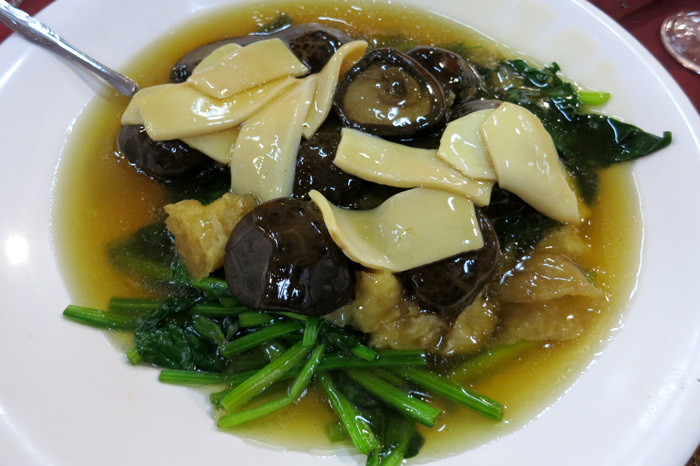 Crab Meat Fish Maw Soup – a good substitute for Shark’s Fin Soup! Honestly, there isn’t much difference between the two. Except that the latter contains Shark’s Fin. 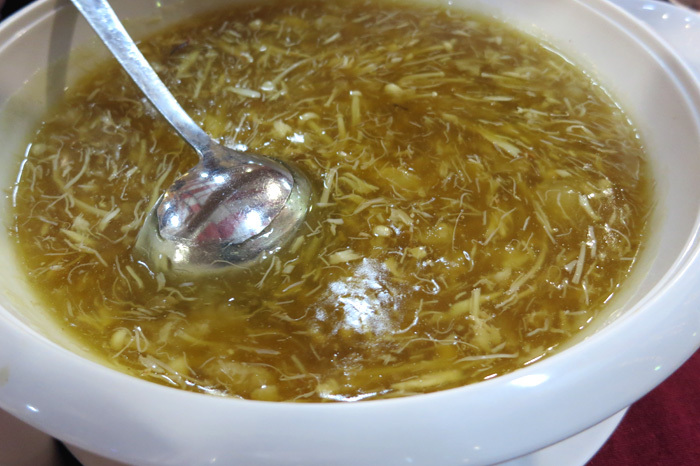 I think the reason why people like Shark’s Fin soup is because of the thick texture and how the SOUP tastes like, no how the Shark’s Fin tastes like. 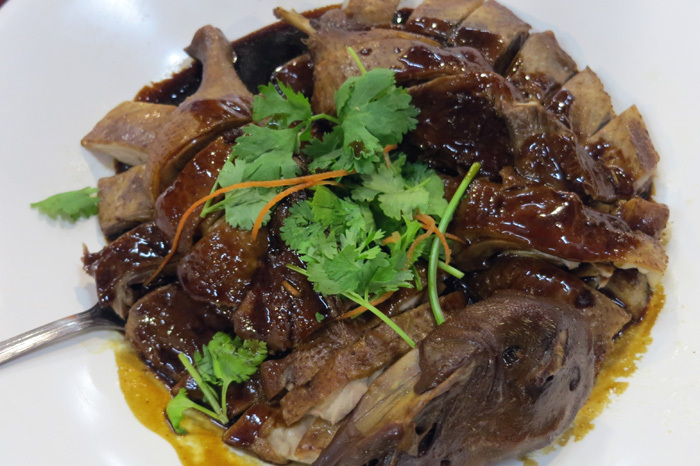 Shark’s Fin is tasteless, I think. Don’t forget about caring for the environment amidst the celebrations! So yay to substitutes! Preparing for the Yum Seng! And no that is not beer in Roy’s glass, it’s Chinese Tea. Haha, he doesn’t drink at all. Steamed Sea Bass with idk what sauce but it was good. 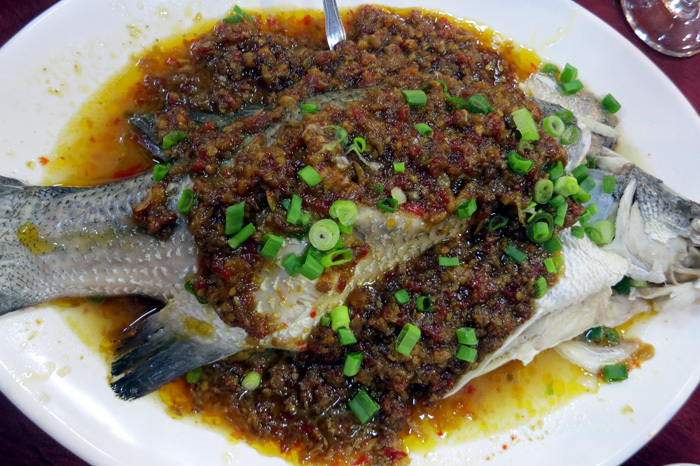 I love steamed sea bass!! 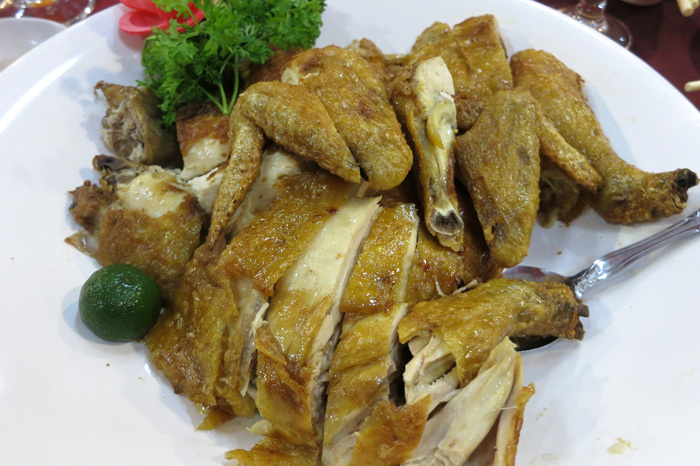 This is my favourite dish whenever I attend weddings or have dinner at Chinese restaurants or even tze char! 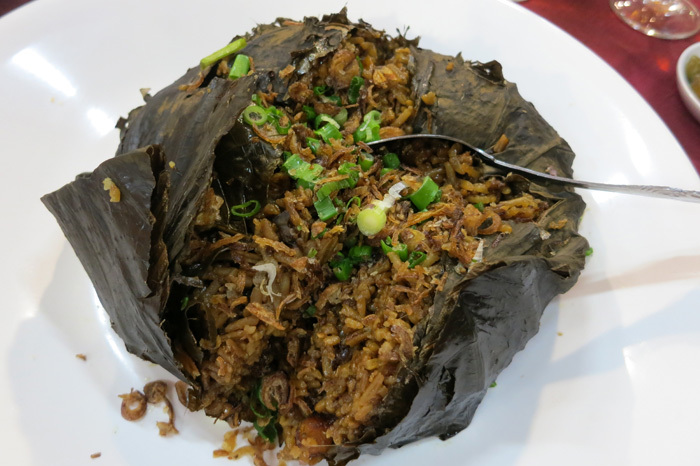 The last dish was Fried Rice with Dried Scallops in Lotus Leaf. 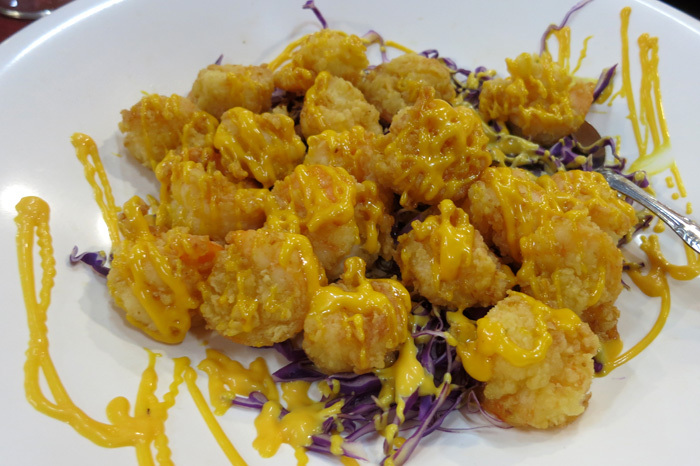 I didn’t eat much of this because I’m allergic to scallops T.T Tragic! They started the singing session and it was heartwarming to see everyone waving their flags and singing along to the songs out loud, especially to Count on Me, Singapore :’) A pity I didn’t capture that moment. The boyfriend and me with our crappy hair hahaha. My makeup also melted by then so yes I look horrible I know. 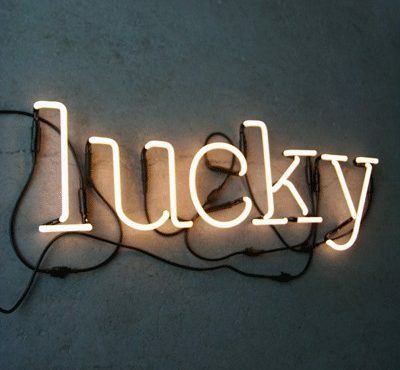 Message of the day: Be grateful, really. Without our forefathers and good governance, we probably might not be where we are today. Think about the food, think about the roof over your head, even the blinking traffic lights, the roads and concrete ground you walk on everyday – They are only possible thanks to our leaders. Of course, no government is perfect. No system is. But for all that I have today, I am grateful and I am proud to be a Singaporean. There are times when we feel like packing our bags and immigrating to another country because we are sick of our surroundings,etc. Indeed, travelling is good. It broadens your horizons and you learn to be independent. I like travelling too. 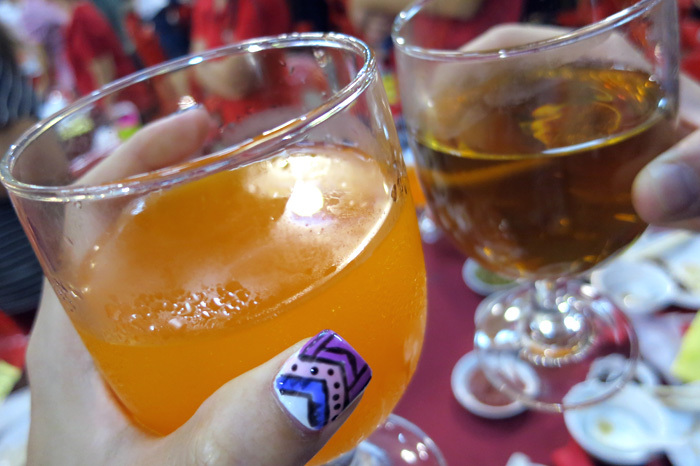 But no matter where I go, I will hold true to my Singaporean identity. After all, home is where the heart is. And Singapore, is my home. 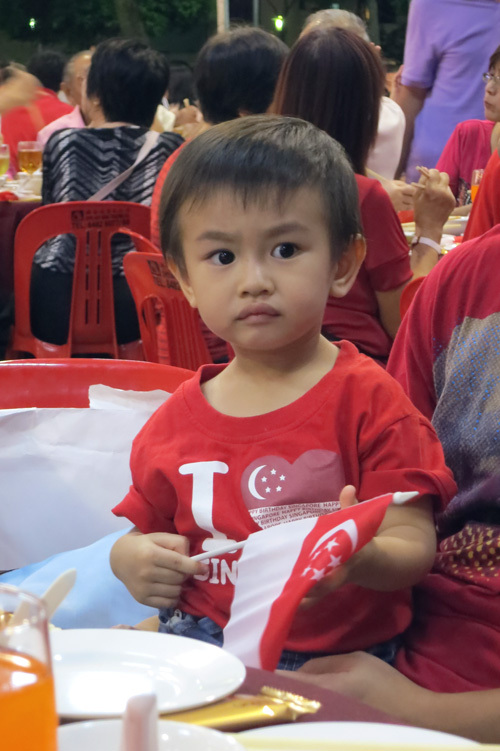 What will you be doing this National Day? 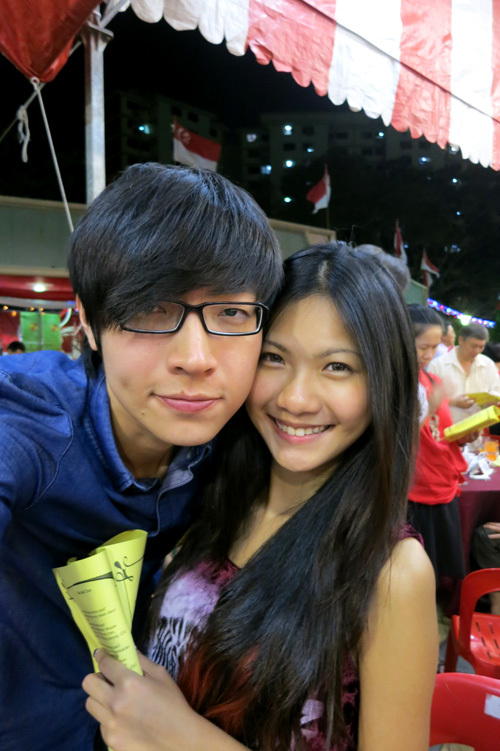 I should be out for a photoshoot in the day and will be home in the evening to catch the National Day Parade hehe! Gotta spend whatever time I have scheduling new posts since school starts on Monday and I might not have time to blog everyday once school reopens. Ciao!